My name is James Radloff and I am currently doing my MSc in Marine Biology at Rhodes University. 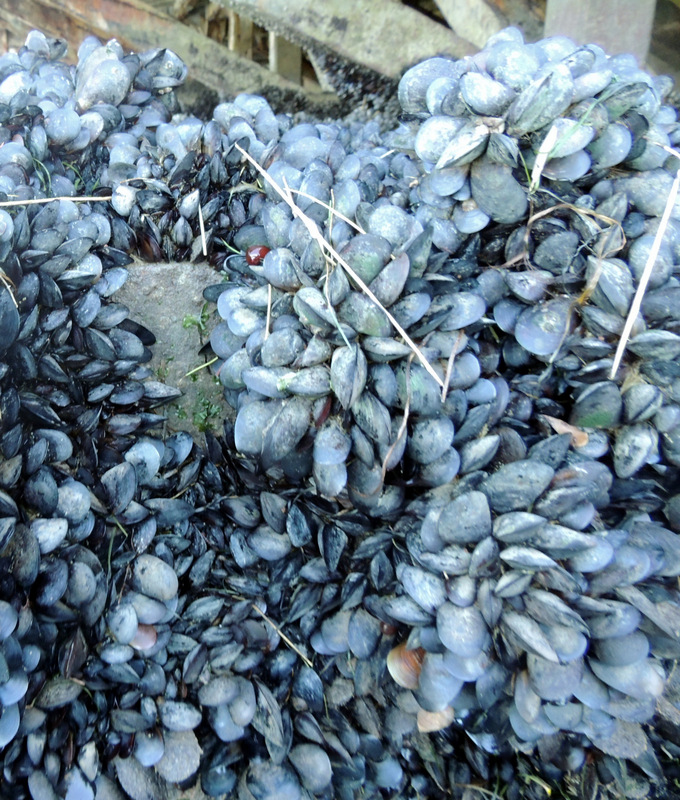 I am working on one of the most alien invasive marine species along the South African coastline, the Mediterranean mussel – Mytilus galloprovincialis. The Mediterranean mussel has the characteristics of a successful invasive species, having a high tolerance to salinity and desiccation, fast growth rate, high reproductive output, they are better competitors than native mussel species and have relatively few predators. Because of these successful characteristics this species has been able to spread extensively along the coasts of South Africa. The species was first introduced accidentally by ship in Saldanah Bay sometime in the late 1970’s and now occupies a rough total of 2 050 km of the South African coast stretching from Cape Point, in the Western Cape to Kidd’s Beach in the Eastern Cape. This alien invasive was recently identified in one of South Africa’s most important estuaries, the Knysna Estuary. The Knysna estuary is deemed to be extremely important as it is known to contain 42.6% of all South Africa’s estuarine biodiversity and is even considered a national park. Recording bivalve recruitment rates by collecting bivalve spat (baby mussels) in three different locations within the Knysna (Thesen Island, the Warf, the Railway Bridge) estuary for 18 months (2016 – 2017 June) and then counting and identifying the species. This is done by placing plastic pot scourers on ropes near the mussel beds over week in which the mussel spat floats in the water and gets trapped inside of the pot scourers. The mussels are then taken back to a lab where I use a microscope to identify and count the different species. Record bivalve recruitment rates over different tides (neap and spring) during different seasons at two locations within the estuary. This is done in pretty much the exact same fashion as the number 1. This time I am just seeing recruitment rates over different tides during different seasons compared to monthly samples (above). In the beginning of 2017 I cleared 18 15cm x 15cm plots in mussel beds in the Knysna estuary. Every month I return to site where I cleared the plots and take photographs to document what recruits back over time. Some of the plots that I cleared I just leave alone as a control. The other plots I remove just mussels, while in the rest I remove everything but the mussels. Next year I will have to identify fauna species richness and diversity within mussel beds at 3 different sites within the estuary. This will be done by clearing plots in the mussel beds and identifying and counting all the species that use the mussel beds as a habitat. Doing this research has both its ups and downs when it comes to the science behind it all. The most difficult part is also the most tedious – counting and identifying hundreds of bivalves in just one sample, remember that I have 30 samples per month and I have a year and a half worth of samples! But once the nitty gritty is done the data starts taking form and the science behind it comes alive. It is enjoyable seeing the differences in samples over different months and although no statistics have been performed yet, a clear pattern in mussel recruitment is evident. Overall, I think the best part of my thesis is that I get to come and enjoy the beautiful scenery of Knysna and the lagoon every month, while knowing that my research will ultimately benefit the estuary itself and science as a collective.